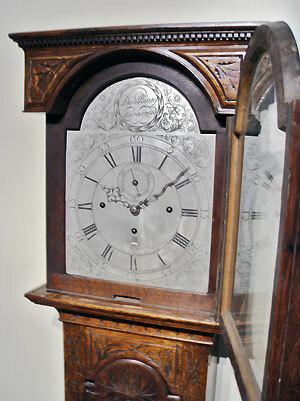 This is an 18th century quarter chiming carved oak longcase clock by Dan. Binney of Edinburgh, England. 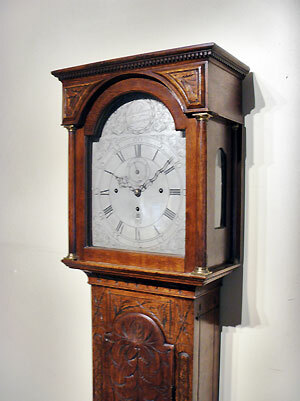 The clock has a flat topped hood with dentil moulding and brass capped columns, and the straight-sided trunk has a break-arched door on a rectangular base with a moulded plinth. The 12 inch silvered dial is signed to the arch with shell and foliate engraving to the corners. The clock has Roman and Arabic chapters with subsidiary seconds and a calendar aperture. The substantial movement involves five knopped pillars with an anchor escapement, chiming the quarters on a nest of six bells and striking the hour on a bell. 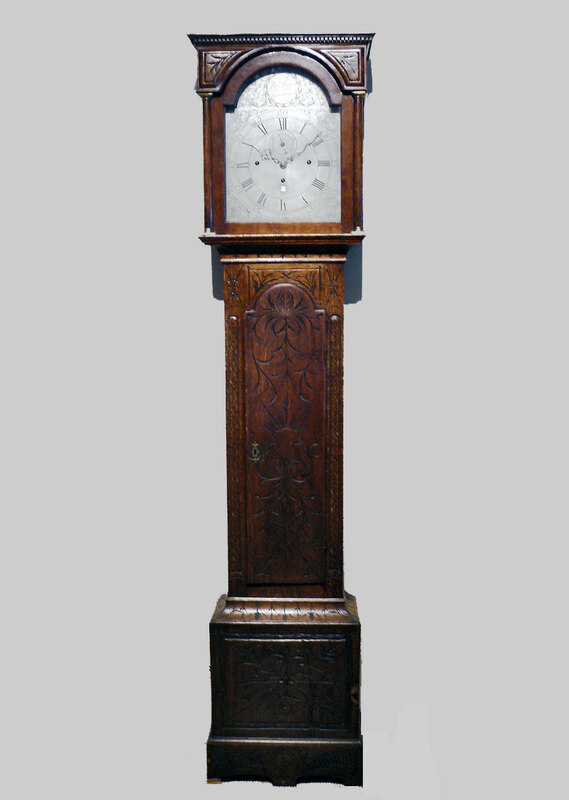 For further details and to discuss purchase of this antique clock, contact us.